In our Sabeny.com household department we have everything you need for your kitchen. With a large range of plastic plates, cutlery and cups, there is no more any need to empty your whole cupboard. Planning to serve a meal to a large company? 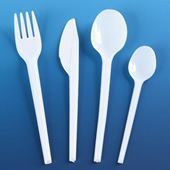 Just serve on our disposable plastic plates and cutlery and save yourself the time and effort of cleaning up afterwards. The same goes with your baking just choose from our range of disposable containers and bake your cake without having a messy kitchen when you’re finished. Our online kosher website has a large household department. This includes a range of plastic disposable plates and cutlery, candles and a lot of other household products. Just click on a link below to take you to our full range of online kosher household products.